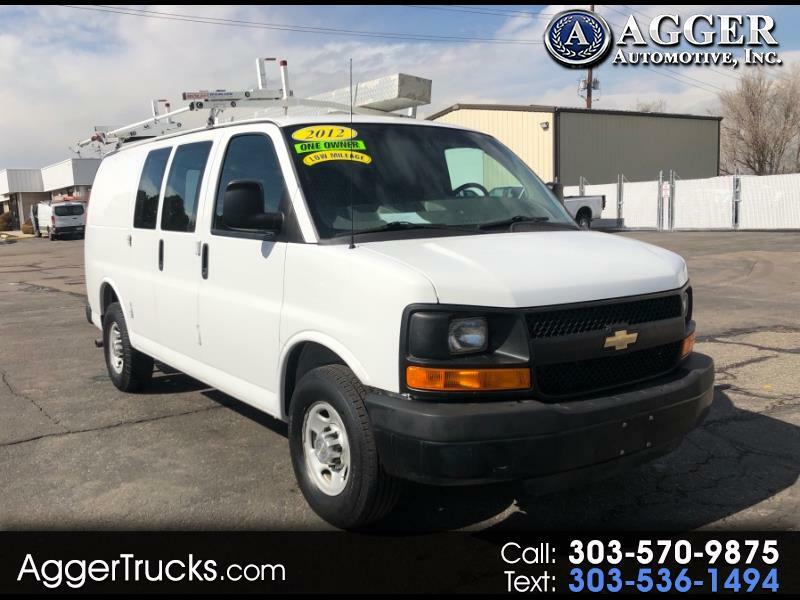 Used 2012 Chevrolet Express Cargo Van RWD 2500 135" for Sale in Denver Commercial Truck CO 80110 Agger Automotive Inc.
For sale is this 2012 Chevy G2500 Express Cargo Van. This is a one owner vehicle from the Denver Water Department in Colorado. This cargo van comes equipped with ladder racks, full bin package, 3000 watt inverter, Macom 2 way radio, low miles, quality tires, and a clean title. This cargo van has been fully serviced, with service records available upon request.